Rather than start this post about the Telluride Bluegrass Festival with a picture of an amazing headliner like Mumford & Sons, or the surprise stellar guests like Patty Griffin, I’m going to share that view up above instead: a cell phone snap taken while I sat inside my tent and looked out the zippered door. I think it captures something about this festival that you need to know, as foundation. As enticement to come next year. I pitched my tent on slanty ground, deciding to sleep on river rocks just so that I could hear that powerfully rushing roar of water as I was falling asleep at night, and first thing when I woke up in the morning. When I rambled through the darkness at 2am each night to my waiting cocoon of nylon and synthetic down, I’d sit for a good half hour on the banks, just watching the water that came from far away and was heading who-knows-where, as the moon glinted off the fast-moving surface. I felt a deep peace, and a happiness. 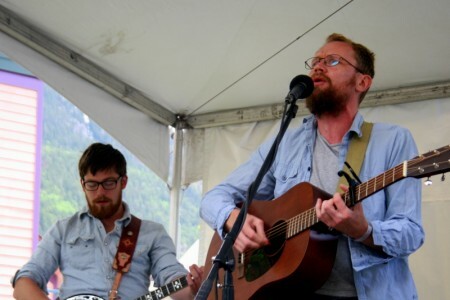 After ogling the lineup of performers and arriving into the stunning natural beauty of the town (last year was my virgin year), the first thing you notice about Telluride Bluegrass Festival is that it is inherently different. People at this one are nicer. Strangers stop to both secure your unattended tent when it’s about to succumb to the ferocious winds and blow into the river (happened to me), and also when you are struggling to lug all your stuff out to where the carpool is going to meet (ditto). The staffers might not only watch your gear, but move it under a tarp when the skies open up and the rains begin. The bus driver loops back around once he’s off duty in the wee hours of the morning, because he hears on his radio that a gal needed a ride. Things like this strike me as exceedingly rare in this world of music festivals, and deeply appreciated. I tell you all these things not to brag about what a goddamn nice weekend I just had, but to set the stage for the sorts of musical chemistry that spark effortlessly and burn glowing-orange within this fertile laboratory of music. All weekend long you’ll see musicians peppering each others’ sets, stepping off the stage to perform in the round, and just smiling a whole lot. Although my friends who bring in the acts have a keen ear for what works (old standards and new exciting acts), I think I would come no matter who was playing. Matthew & The Atlas was the best new artist I saw at the festival. I’d written about their song “I Will Remain” many months ago, and listened to it probably a hundred times since then. I have these days where I just park on their MySpace, and blearily stumble out of it three hours (and the same four songs on repeat) later. Rising out of the same Communion folk scene in London as their peers Mumford and Sons (who attended both Matthew & The Atlas shows I saw), Matt Hegarty’s smoky dark voice is wonderfully evocative, like it knows of sorrows that I haven’t met yet – and I’ve met me a few. It quavers with some echo of ancient wisdom, if that makes sense — like a wizened wizard lives inside this young man. Weird/magic. Plus there are banjo and handclaps and accordion, and prominent female harmonies and countermelodies. I promptly bought all three of the EPs they had for sale after the show. It’s been too long since I’ve let myself do that. Take me back to when the night was young, and another song was sung. Two morning sets blew the early-riser Telluride crowd away, and both happen to be two of my personal favorites. 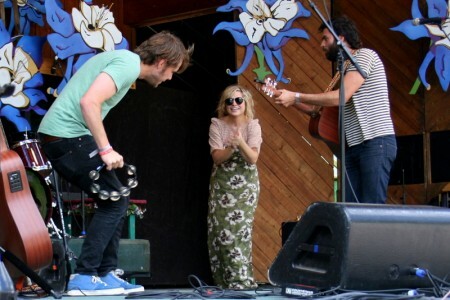 The Head and The Heart were the first act I saw at Telluride this year, a fresh and crisp noontime set on Thursday, while Joe Pug played even earlier the next day, while the dew was still on the lawn. There may be nothing nicer in this world than hearing Joe Pug’s harmonica ringing out at 10am on a clean and bracing mountain morning, or watching THATH stomp and laugh and echo those three-part harmonies back off the rocky mountains all around us. Both acts did a fantastic job of converting the audience all around me with their smart songwriting and contagious passion for music. Previously unknown to most of the seasoned bluegrass crowd, I heard both names on everyone’s lips for the duration of the festival. This was my first experience seeing Steve Earle live. I deeply respect his music and songwriting, but had never before witnessed his live set. He performed with his wife Allison Moorer (“did I marry out of my league, or what? !” he asked), and I was surprised at the soft incisiveness of his performance. He looks hardened, but life seems to have worn off the painful edges and left this rich and gorgeous beauty in his music. 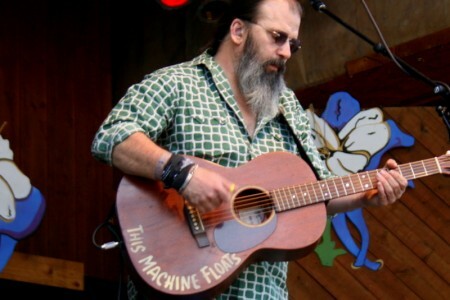 I foresee myself entering a large Steve Earle period. And YEAH, I got to see some of the most amazing women in my musical lexicon all in one weekend. I was mesmerized by Emmylou Harris (as I stood next to Marcus Mumford for it, both of us just beaming at her folksinging glory), then Patty Griffin just dropped on in unannounced for the Sunday morning gospel hour. Griffin has written some of my absolute favorite songs, including “Mary” (which KILLS me, EVERY single time) and “Top of the World.” She performed “Heavenly Day” — and it was. Hearing the silvery-voiced Sarah McLachlan both made me feel very, very fifteen again, but also reminded me how many songs she has written that I’ve loved and not listened to in forever: “Path of Thorns (Terms),” “Good Enough,” “Hold On” — I surprised myself with the quantity of singing along I was doing. Her performance was strong and vibrant, and induced at least one of my 20-something year old male friends to go home and download her greatest hits album at 3:00am. But I won’t name names. All the songs from The King Is Dead (one of the best albums of 2011 thus far for me) seemed custom-penned to be performed in a setting like Telluride. It is the rootsiest of the Decemberists albums for a while, maybe ever, and the harmonica and fiddle felt right at home. Bela Fleck joined Colin for a (fake) dueling banjos challenge (to “win Telluride”), while Benmont Tench and Jerry Douglas also came out for the final song, a cover of “When U Love Somebody” by The Fruit Bats. I don’t know why I thought that Mumford and Sons was not going to impress me again. 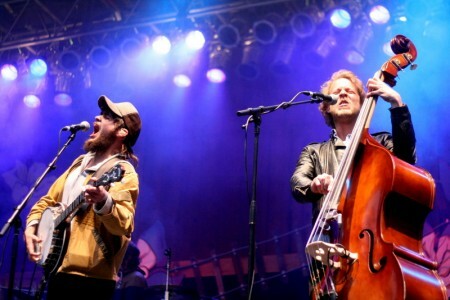 So I’m figuring: I first saw them at SXSW 2009, at a small but hyper-potent daytime set at Maggie Mae’s outdoor stage. Having already been smitten by their songs, I fell instantly for their live show: “I felt more like me, only better, when their set spun off at full tilt. Jawdroppingly pure.” I named that set one of my favorite concerts of SXSW and the entire year. Last year at Telluride, they completely blew me away again – their very first show on Colorado soil, and everyone in the Sheridan Theater was singing at the top of their lungs, stomping so hard the floorboards shook. It felt like a secret exploding. I still get chills to think of it. I was blind to my jadedness that assumed since they are huge on the radio now, since everyone seems to know their songs, that somehow their live show would have changed, becoming more diluted and sterilized. I could NOT have been more wrong, or more arrogant perhaps, to think so. They were completely incredible, playing in the pouring rain on Sunday night. It was the last show I saw (sorry, Robert, we had to get home ahead of the snow), and one of the most memorable. As the Punch Brothers played their set before the Mumfords (and covered Josh Ritter! ), a frigid, steadily-increasing rain fell without ceasing, running in rivulets between my shoulder blades and dripping off the ends of my sweater sleeves. All the smart people pulled out their ponchos (me: not smart) and the audience turned into a sea of plastic primary colors. We shivered and were absolutely miserable. 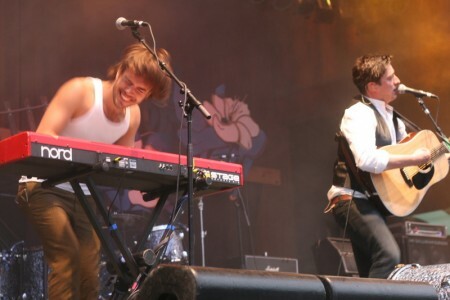 But when Mumford & Sons took the stage, the crowd galvanized into one teeth-chattering supernova, singing with our heads back (“and Iiiiiiiii will hold on hope, and Iiiiiiii won’t let you choke / …and Iiiiiiiiii’ll find strength in pain and Iiiiii……”), dancing our frozen asses off. Not only was their set terrific (including Bela Fleck, Jerry Douglas, Abigail Washburn coming out to play along), but they still retain all the passion that made me love them in the first place. For someone who has played as many shows as these guys have, it was truly something exceptional. 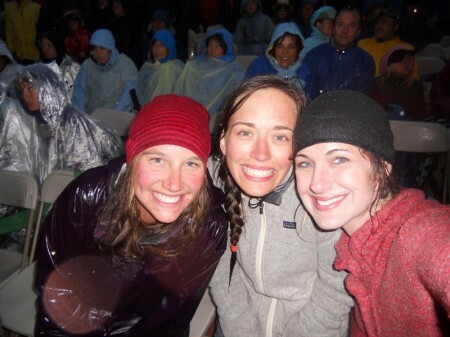 I saw our rain-soaked joy reflecting back off their faces, and it was a wonderful way to end Telluride 2011. Come to this festival next year. 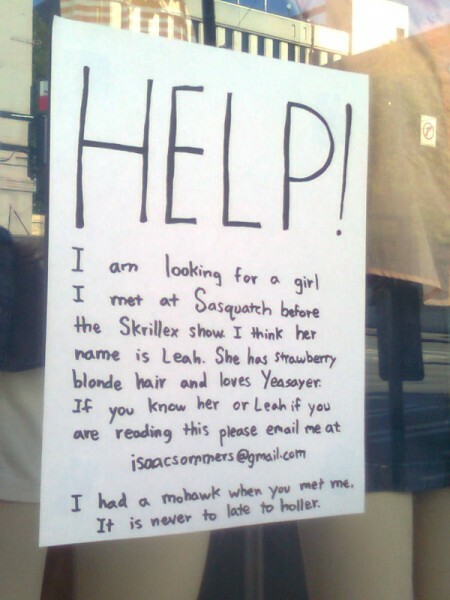 Oh — and finally, should I introduce her to Isaac from Sasquatch? SEE ALL MY PICTURES HERE. 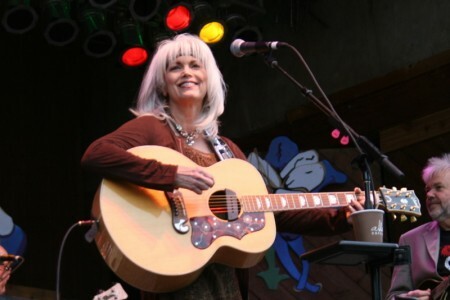 Tagged with concerts, emmylou harris, joe pug, matthew and the atlas, mumford and sons, patty griffin, sarah mclachlan, steve earle, telluride, the head and the heart. Soooo jealous. Sounds and looks like an amazing time!! Those might be three of the most happy faces you’ll ever see am I right? Good. Lord. I want to go to there. Wonderful writeup, Heather. Every time I see a picture of Matt Hegarty I can’t get over how that voice just doesn’t seem to go with what he looks like. Oh well- dude can sing. You really should have gone over to Eve’s campsite and simply said ‘You know, it’s never too late to holler’ and given her Isaac’s email. loved the write up and photos! thanks for the fruit bats cover–i’ve been jonesin’ for that since i saw them in april! Great write up. I really enjoyed it. 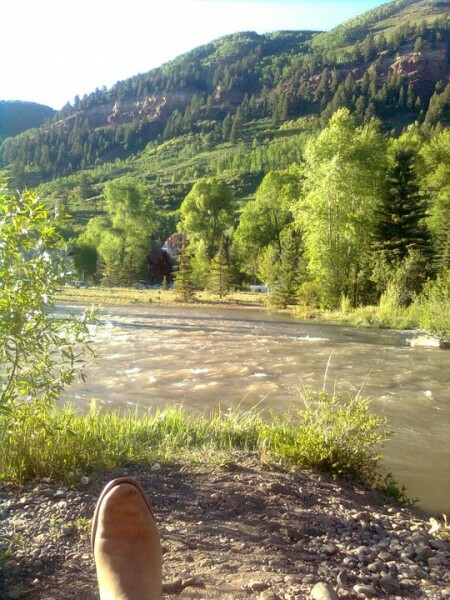 I was at Telluride Bluegrass fest in 2000 & 2001 and it’s nice to know it is still the same wonderful place. I was at Telluride this year for my first time (I was the tall man who said “hi” after the Head and the Heart Nightgrass concert), and loved your write-up. It was an amazing experience, and the friendliness of everyone was something that stood out for me too. 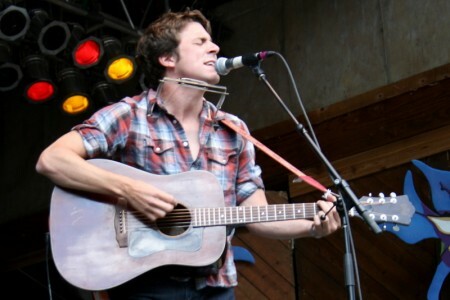 I appreciated Joe Pug’s set, and found myself tearing up (not something I do often) with the lyrics from Not So Sure, “Definitely was a word I used far to much” which I heard for the first time there and has been on repeat since I got home beating out the new Bon Iver album for listening time. But, from your review I am sad to see no word of the Old Crow Medicine Show set which was incredible and the highlight of the festival for me, and yes I was singing in the rain with Mumford and Sons. 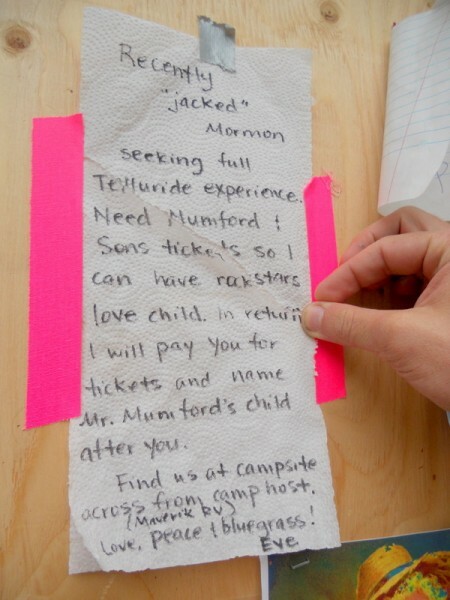 I know what you mean about seeing Mumford and Sons. 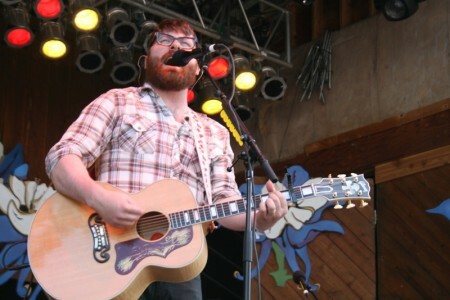 Last week they played their largest show to date here in Maryland – about halfway between Baltimore and D.C. 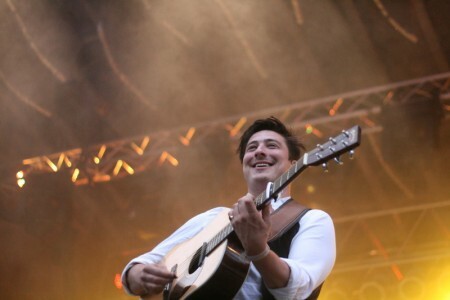 I only know this because Marcus Mumford told the elated crowd this news. He said he couldn’t believe that 20,000 people had paid to watch their hour-long set in (where are we again? Maryland?). So during the Matthew and the Atlas set the most frightening thunderstorm occurred, dumping hail and lightning on the crowd for a good 20 minutes. By the time the Mumfords took the stage, everyone was LOSING THEIR MIND…20,000 people belting out all the words and jumping on each other through the whole set, and the band was just LOVING it. I’ve been to hundreds and hundreds of shows and festivals but this was one of the best concert experiences of my life. (continued from above…many apologies). Heather, like you, I’d gone to that Mumfords show with a similar sense of that jadedness that you spoke of–I thought that somehow seeing them with that many people wasn’t going to be as satisfying as some of their smaller shows had been, but I was dead WRONG. They really are capable of wooing stadium-sized crowds with their energy. It felt like being in an Irish pub with 20,000 of my closest friends. My first time at Telluride too, and I really only needed/planned on seeing three shows — THATH, Decemberists, and Mumford and Sons. Regardless of whether you want to see “real” Bluegrass or not, I enjoyed that the entire set up was just so DOABLE. It never seemed overcrowded, nor were there long lines, it was so easy to get around (and into the mountains if you wanted a different vantage point). “squatting” on a strangers tarp was the norm, not the exception, and a great way to make new friends. Which was also why the one odd note to me was that there was a roped off section at the front of the stage for people I assume were VIPs. Like always, a number of these chairs remained empty, or people came in and out rather than staying through a whole set. With all the love behind them, dancing and shivering, and whooping it up, it seemed a shame to have this kind of exclusive reserved area at all. I’ll be back, reading Robert Frost poems aloud along the rivers, and falling asleep under a cowboy hat at 9,000 feet to the sound of a banjo. The TBF is one of my dreams to see and hear firsthand… I couldn’t make it this year, so I appreciate your coverage! What a fabulous, wonderful wrap-up of what must have been an amazing weekend. I am in heaven just reading the blog, looking at the pics and listening to the clips. 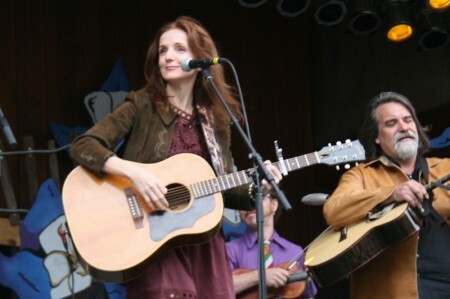 Patty Griffin is on my list. One of my all-time favourites, but she doesn’t often come to Canada. Heavenly Day. wow. Such a song. (And yes, I love Mary too). 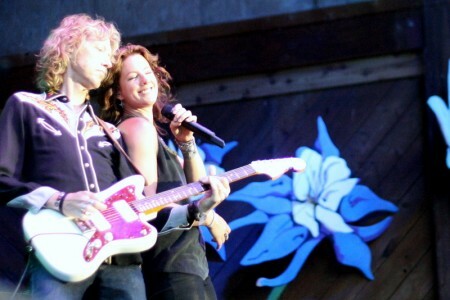 Saw Sarah McLachlan just last year — first time in a number of years. She never disappoints when she goes deep into her catalogue. Were the fabulous Luke Doucet and Melissa McClelland with her? Thank you so much for your blog. I do a daily check-in to see what you’re up to. Finally making the time to see some quality music–Newport Folk Festival July 30 (and hopefully the 31st too), looking forward to seeing the Decemberists. If you are coming to New England, look for the bemused (and confused and amused) short guy with glasses…it’s probably me.